Until the last few years, only about 5% of all books published were ever produced in audio. Audiobook production has increased almost exponentially, yet new books don’t always have an audio edition. The seemingly limitless number of possible audiobooks can be overwhelming, so how do you narrow down the choices? Simply put, what are you curious about? Start there. I believe that curiosity is the secret. Curiosity is the truth and the way of creative living… accessible to everyone…. Curiosity only ever asks one simple question: “Is there anything you’re interested in?” Anything? Even a tiny bit? No matter how mundane or small? The answer need not set your life on fire…if you can pause and identify even one tiny speck of interest in something, then curiosity will ask you to turn your head a quarter of an inch and look at the thing a wee bit closer…. See where curiosity will lead you next. Then follow the next clue, and the next, and the next. Remember, it doesn’t have to be a voice in the desert; it’s just a harmless little scavenger hunt. Following that scavenger hunt of curiosity can lead you to amazing, unexpected places. The article you’re reading is the end result of just such a scavenger hunt! Margaret Mitchell only wrote the one book. She was killed in a car accident on Peachtree Street. Mitchell was so short that she needed a stool to reach the bar at the Piedmont Driving Club. Drew’s aunt told us this odd tidbit a few years ago. His uncle, the PDC manager in the 1950s, heard the story from people who were there at the time. 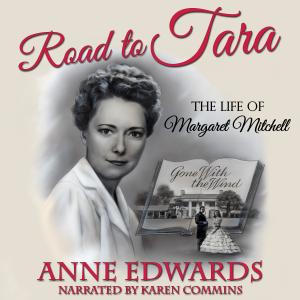 However, I wasn’t thinking of producing, narrating, and publishing an audiobook about Margaret Mitchell when ROAD TO TARA came to my attention. In fact, I hadn’t ever read any books about her. Cue the “Mission Impossible” theme music because the match was struck, and the chase was begun at that moment! Not only did I see examples of her autograph, but I discovered several biographies about her. I bought one that day and devoured it. I found another at a flea market and quickly read it. I’ve now read at least 5 books and a pile of articles about Margaret Mitchell and her famous book and have 3-4 books still to enjoy. If following your own curiosity doesn’t lead you to a book you want to do, you might find someone or something in your local area that will summon inspiration, give you fodder for future projects, and completely enrich your life! Did or do any authors live or work near you? Of course, it helps if the author is famous because that person’s haunts of yesterday could be the tourist destinations for today. Would you believe that I had never been to 3 of those places before working on this book? These adventures made me more knowledgeable about both Ms. Mitchell and Atlanta history. In addition, I took lots of pictures at each location that I could use in my marketing efforts. The more I learned, the more research I felt driven to do to answer my curiosity. My scavenger hunt turned into a full-fledged quest to find a recording of Margaret Mitchell’s voice. 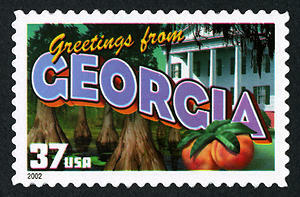 I found it when I traveled to the Hargrett Rare Book & Manuscript Library at the University of Georgia in Athens. At last, I heard the recordings of Mitchell’s remarks at the 1939 movie premiere! Furthermore, I read all of the letters among Mitchell, her lawyers, and the American Federation for the Blind about creating a “talking book” of her book! I saved pictures of those letters and many others in Evernote. I’ll use that reference material as I write future articles. Once you find a book you’d like to do, you first need to figure out who holds the audio rights. This article will help you with your research. You can ask the audio rights holder — usually the author or publisher — to retain their audio rights and hire you to produce and narrate the book for a fee. Often this approach works great, especially with indie authors and small publishers. Larger publishing companies, though, frequently are not willing to go that route, if they even answer your query. Some will only license the rights to an existing audio publisher. Others are willing to license the audio rights to an experienced narrator. I was fortunate to deal with a highly responsive head of Subsidiary Rights who fell in the latter category above. When she asked me for a draft of my standard license agreement, I knew I needed to get an education on acquiring audio rights! I held a webinar with intellectual property attorney and audiobook producer/director/distributor Jessica Kaye (the 1.5-hour recording and materials are available on my Shop page) and later hired her to write my licensing agreement with the publisher after I negotiated the terms. When negotiating a license agreement, you can ask to use the same cover art on the existing editions. In my case, the publisher didn’t have the copyright to the images on their edition and therefore wasn’t the correct party to grant that permission. I planned to license a certain picture of Margaret Mitchell and hire a graphic designer to create a new cover for the audiobook. (Since then, I’ve learned that the copyright on pictures is 75 years, so I probably could have used the original picture I considered.) I ran into delays and non-answers because the Universe had a different vision for me. A while back, I had set up a search on eBay for “Margaret Mitchell” as I decided I wanted to own her autograph and a 1st edition, 1st printing copy of GONE WITH THE WIND. A few days after I signed the audio licensing agreement for ROAD TO TARA, I was looking at eBay. I almost fell out of my chair to see a listing for the magnificent hand-drawn production artwork for a first day cover (a special and elaborate envelope postmarked on a stamp’s first day of issue) for the 1986 Margaret Mitchell stamp! I quickly bought it. After I received it, I asked for that company’s permission to use their image on my audiobook cover. They unhesitatingly said “yes” and sent me a first day cover with that artwork for my collection. I matched the fonts and used Photoshop to select the exact shade of red on the ebook cover. I could not be more enamored with the audiobook cover if it had been custom-drawn for me! Independent audio publishers have a growing number of options for distribution, including ACX.com, FindawayVoices.com, and SpokenRealms.com. 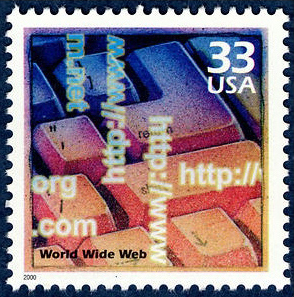 The pros and cons of each site are beyond the scope of this article. I’ve been on ACX since it was in beta test in 2011 and am eternally grateful for the opportunity it gave me to rejuvenate a stalled audiobook narration career. My sales numbers probably will be the highest in the first year, so I’ll maximize the royalties paid from Audible.com. As the world’s largest audiobook distributor, Audible pays 40% in royalties on ACX exclusive contracts. Next year, I will exercise Section 12(a) of the ACX Book Posting Agreement which states that you can write to Audible any time after the first anniversary of the on-sale date to request a change to Non-Exclusive distribution. At that point, I will receive 25% of royalties from Audible and be able to sell ROAD TO TARA on my web site and other outlets such as Overdrive.com. Although I’ve often written about marketing audiobooks, I’ve always advised other narrators that your NEXT book is your best marketing material for your talent. It shows producers and publishers that you are working and gives you something to talk about. I also have said that a narrator shouldn’t concern herself overly much with marketing individual books. Narrators don’t tend to affect sales as much as authors do. Nothing will generate interest like an Audible sale on the audiobook or a BookBub featured deal for the ebook. I’ve listed a lot of marketing and promotion ideas on my Audiobook Marketing Cheat Sheet. I decided I’d use 3 initial approaches: advertising, writing, and, of course, reviews. First, I placed an ad in the AudioFile Magazine Indie Showcase in the upcoming December issue of the magazine. AudioFile is the premier publication for the audiobook industry and the heart of my target market. I looked around for any related fan sites, forums, etc. where I could promote the audiobook. For this reason, I also am placing an ad in The Scarlett Letter, which is a quarterly newsletter devoted to all things related to Margaret Mitchell and GONE WITH THE WIND. I’ll probably pay for promotion in either or both AudiobookBoom.com and AudaVoxx.com as well. Long-time readers of this blog know that I advocate study and usage of GET CLIENTS NOW! by C. J. Hayden for developing marketing plans. Hayden explains that writing is an excellent way to build trust and gain visibility among your prospects. I have a business purpose for everything I do, and I write this blog and guest articles on different sites for that very reason. I pitched the idea of writing about different aspects of my journey with this audiobook to AudioFile Magazine and The Scarlett Letter. I’m pleased that both publications welcomed my contribution. What’s more, AudioFile asked to review the audiobook to go with my piece on their blog! I’ll use my Twitter list of audiobook reviewers to find others who might review the audiobook. Finally, I developed this :58 video to help promote the audiobook on social media. I love to make videos because, like my writing, they are a creative outlet where I go from idea to implementation. Licensing audio rights and publishing a contemporary audiobook can be risky, especially if you pay an advance on royalties. I read somewhere that money is only good for what it allows you to do, be, or have. Did I risk the money I paid for the advance, attorney fees, cover art, editing, and advertising? No. I choose to view it as money I spent to allow me to be an audiobook publisher of current titles, do creative work of my choosing that fulfills me, and have a lasting thing of beauty in the completed audiobook, a long-term passive revenue stream, and an infinitely more fascinating life! Do you feel encouraged to find your own Road to Tara? I hope you’ll tell me about it in a comment below! Congratulations Karen on another great accomplishment! Enjoyed this article very much and wish you much success with the Audiobook. You continue to inspire! Hi, Talmadge! Thanks so much for the kind words! I hope all is going well for you and that you are looking forward to a stellar year ahead.